When it comes to getting a perfect Wedding Hairstyle you first begin with a Consultation and Wedding Trial. 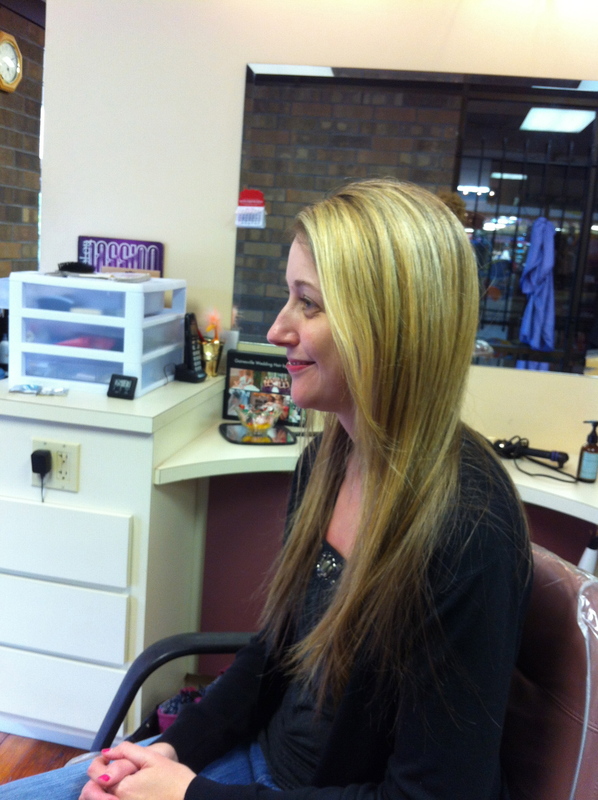 At this Consultation and Trial you will work with the hairstylist to get exactly the hair you’ve always dreamed of. If you have any pictures of hair styles you like, bring them with you to help describe what you want. The day of your wedding you should have your hair at the maximum good health and sheen. If you would like advice on how to achieve this you can contact Deborah ahead of time. Deborah will analyze at the color, condition, and length of your hair in relationship to how you want it to look on your wedding day. She will then make recommendations based what best fits your hair and desired hair style. This includes things like color glazing, Conditioning infusions, and hair shaping to complement your wedding day hairstyle. Next, it’s time to style your hair like it will be on your wedding day so you can see what it looks like and make any necessary changes. 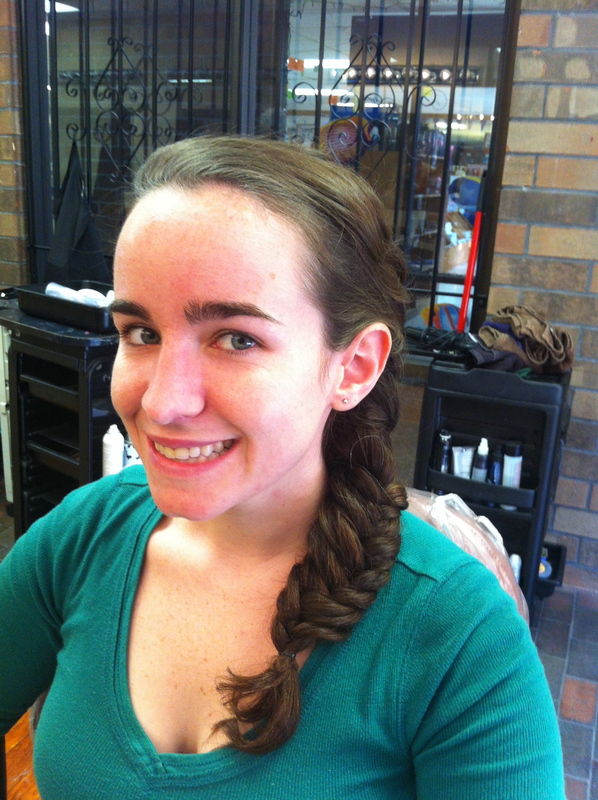 Deborah will heat set the hair, let it cool then create the design and show you several options. Add the headpiece. Take lots of pictures discuss and tweak if needed. Finally, after determining the exact hairstyle technique, the timing will be determined. 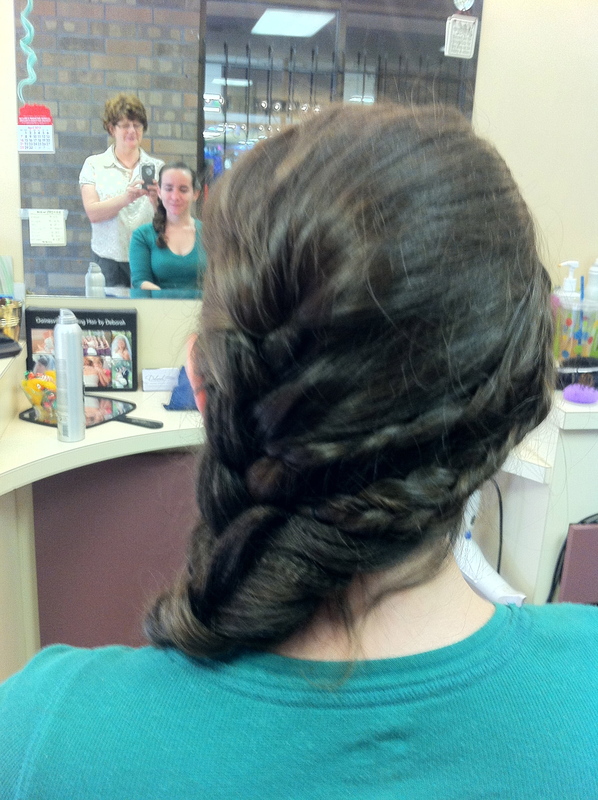 Then on the day of the wedding everything will be ready to give you a perfect wedding hairstyle. Pictures have been taken, notes have been made, and special tweaking has been done. Everyone is prepared and relaxed the day of the wedding. No stress, just the Wedding you’ve always dreamed of.